Finally! 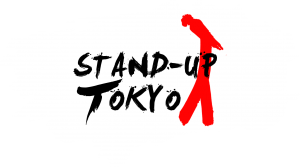 An East Tokyo comedy show! What’s This? Another Spectacular English Comedy Show? You’re gosh darn right! And this time we are bringing a show out to Kinshicho! That’s right, East Tokyo comedy has begun, and the venue is beautiful! Plus, it’s a nomihoudai. This show is perfect for all you country bumpkins living out in Chiba! Where is this East Tokyo comedy show? So what’s included in the night? As it’s our latest weekend comedy night, we’ll be showcasing our funniest comics doing their best material for the guests and the public. To help lubricate the laughs, we are providing a FREE-FLOWING nomihoudai for 2 HOURS for only 2000¥ to hotel guests and 2500¥ for the general public! The surroundings of Moxy’s luxurious-yet-hip lobby and lounge area are perfect for sharing on social media, with colorful displays, a chilled library area and awesome retro games consoles for after the comedy show. So that’s it! Check out the pictures below to get an idea of what we’ve got in store for you. Seriously, this venue is amazing! And we’ve never had an East Tokyo comedy show before so tell all your friends and make it a great night out with your work colleagues.